Another cute gift idea from Birdorable! 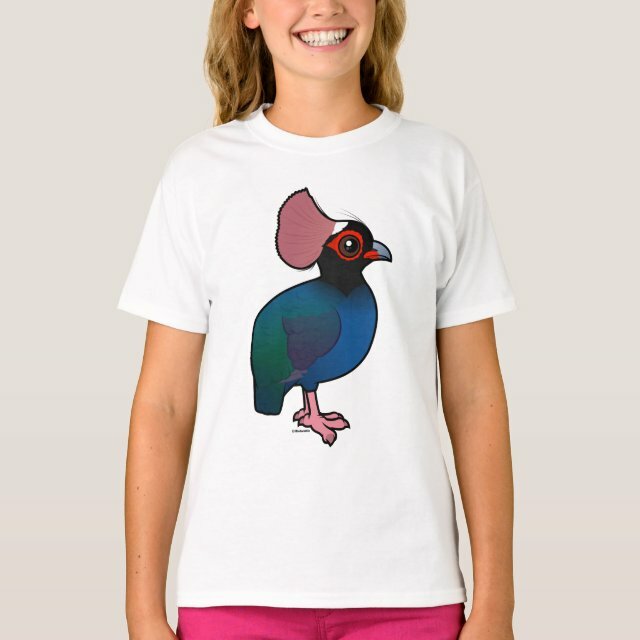 This is our cute cartoon verison of a southeast Asian gamebird known by many different names: Roul-Roul; Red-crowned Wood Partridge; Green Wood Partridge; Crested Wood Partridge; Green Wood Quail. Whatever the name, this one is a cutie pie! You can customize this gift! Move the partridge around, change the product color or style, add text or images -- make it your own! If you'd like to see the Birdorable Crested Partridge on a different product not currently available, please send us a message and we can make the product available in our store. Wait 'till you get this tagless tee on your kiddo. It'll take his everyday style to a whole new level. 6.0 oz., pre-shrunk 100% ComfortSoft® cotton; Oxford Green is 60/40. Shoulder-to-shoulder taping with coverstitched collar.